Hire a Greek Wedding Band – we have the best available, it’s no myth! Looking for a Greek Wedding Band? One of our acts, Apollo, are a very adaptable band who have graced a variety of events up and down the country. 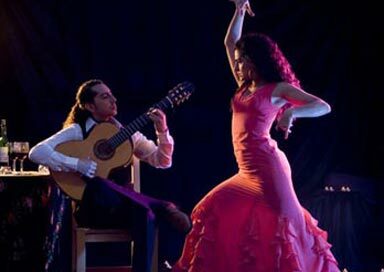 They can be hired as a duo or trio and the bouzouki player is also a Greek dancer. 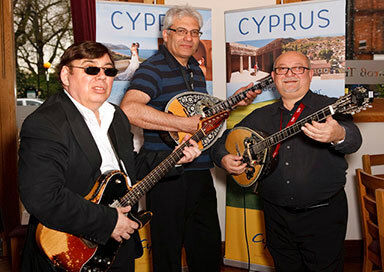 This established and experienced professional Greek wedding band specialise in Greek theme nights, Greek weddings, Greek parties, dinners and dances. 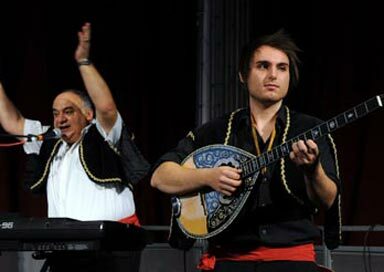 Whether it’s a Greek-themed night at your restaurant, hotel, private function or even your wedding, out Greek bands are experienced, talented and always entertaining! Another of our acts, The Greeks, perform Greek classics such as early smyrnaika, rembetika, archondo rembetica, classical laika and the compositions of the later Greek composers including the ‘classical’ composers Manos Hadjidakis, Mikis Theodorakis and Stavros Xarchakos. This vast repertoire of classical and influential Greek music is one of the many reasons this Greek wedding band will always have something to offer your events! Next story Looking for a Wedding Harpist?